The Prior Lake baseball team is pitching like a Section 2AAAA and South Suburban Conference title contender. The Laker had three strong starts in three straight games winning two of them, including a 4-3 home win over Eden Prairie April 20 in a battle of section foes. Prior Lake went into the contest splitting a pair of South Suburban Conference games, beating Farmington 10-4 April 18 and falling to Burnsville 3-1 the next day. The Lakers (5-1 overall, 4-1 in the SSC) will play four games in four days starting April 22 at Lakeville South. 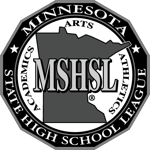 Prior Lake is home to Edina the next day, at Lakeville North April 24 and home to Eastview April 25. Edina is a section foe and first pitch is 4:15 p.m. The other three games are SSC ones that start at 4:30 p.m.
Against Eden Prairie, senior Ben Eisenberg got the win in relief, striking out four in three innings, while allowing one run. Junior Jett Heinen started and worked three innings, allowing one run. He didn't give up a hit, fanned three, but walked six. Senior Tyler Kelley pitched an inning of relief for the Lakers, giving up a run. Prior Lake broke a 3-3 tie with a run in the top of the sixth inning. Junior Sam Emmerich singled to open the inning and later came around to score the eventual winning run by stealing home. Senior Sam Tanner had a triple and an RBI for the Lakers, while junior Austin Gordon doubled and drove in a run. Junior Jonah Hoeg finished 2 for 4 with an RBI. In the win over Farmington, senior Russ Tanner worked six innings for the win, striking out 12 and allowing three runs (one earned) on four hits. Eisenberg pitched an inning of relief, giving up a run. At the plate, Hoeg led the charge going 2 for 4 with a home run and three RBIs. Senior Alex Wattermann finished 2 for 3 with a double and an RBI, while Kelley also had two hits, a double and a run knocked in. Gordon was 1 for 3 with a double and two runs scored. Senior Jackson Larscheid also had an RBI, while Emmerich went 1 for 2 with three runs scored. In the loss to Burnsville, the Lakers ran into one of the state's top pitchers in junior Max Carlson. The Lakers got a run off him in the first inning, but that was it. Carlson fanned 12 in a complete game, allowing just four hits. Wattermann kept the Lakers in the game, matching Carlson for the most part. He went the distance to take the loss, allowing three runs (two earned) on four hits, while fanning nine. Burnsville scored single runs in the fifth and sixth innings to get the win. Sam Tanner finished 2 for 3 with an RBI triple for the Lakers.